Shinee's new single MV: Lucifer, ariki_chan was letting me listen to their song on the bus home earlier, so when I got back, I decided to watch the mv on youtube. Then I started laughing so hard hardway through the vid. Everytime I watch it now, I can't stop laughing. 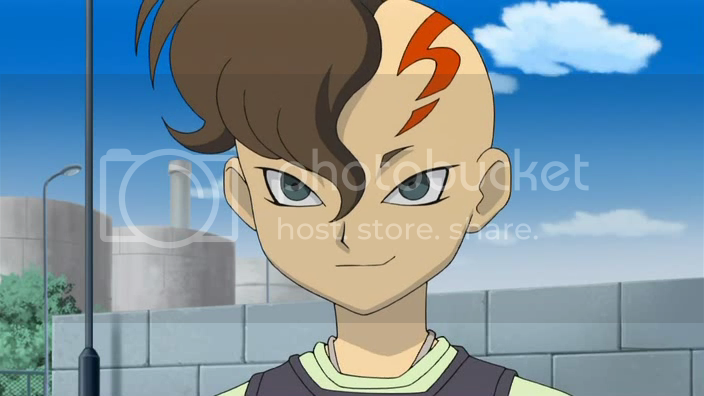 (FUDOU, MAY YOU GROW UP HAWT, AND DANCE FOR A KOREAN BOY BAND. sounds like he got dragged away by the fire dragons to korea 8D; Or if Key suddenly took up football ) Btw, key's hair REALLY has that reddish colouring at THAT spot, but he's only shaved half his head, unlike dear Fudou here. Plus in the MV, Key's pretty much got Fudou's attitude. CANNOT UNSEE. CANNOT. UNSEE. AAA. This is probably some freak coincidence. Was at wikipedia's entry for Shinee, this caught my eye. "Shinee participated in the "5th Asia Song Festival", where they received the "Best New Artist" award with Japanese girl group Berryz Kobo"
Happen to know Inazuma Eleven though? I like this hair too. My friend however still complains about it. this and sungmins don't don hair. guess she hates mohawks lmao. People just have things against fade aways and side crew cuts. =v=; I think they're reaaallly damn cool.